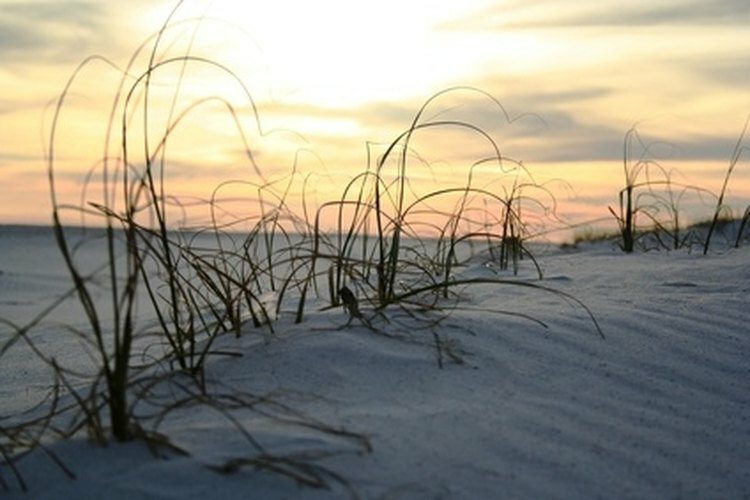 Relax on the white sands of Alligator Point, Fla., with a day of quiet fishing. Surrounded by the 5,000 acres of Bald Point State Park and one hour from Florida's state capitol, Tallahassee, lie the sandy, white beaches and calm atmosphere of Alligator Point, a coastal community popular for surf fishing. The area has a long fishing season from March through December. Expect to hook redfish, pompano, bluefish, ladyfish, jack crevalle, cobia and even black tip sharks in this saltwater fishing haven. Obtain a license from the Florida Fish and Wildlife Conservation Commission. Choose from several types of licenses for residential and nonresidental fisherman. Cost range from free to $100 depending on how long the license is valid. Go to MyFWC.com to review the saltwater fishing license options and to apply online with a $2.25 + 2.5 percent surcharge on total sale. Or dial toll-free 888-FISH-FLORIDA to apply for a license with a $3.25 + 2.5 percent surcharge of total sale per person. With either option you will have a temporary license within minutes and can begin fishing right away. Get your rod and reel ready. You can purchase a rod and reel combo from $100 to $200 for your saltwater adventure from a local bait and tackle shop or sports store. Alternatively, rentals are available at Alligator Point from various beach-side vendors. Make homemade bait or purchase live bait from a bait and tackle shop. Roll minced sardines with day old bread crumbs into balls no bigger than 1 inch in diameter for sardine balls. Alternatively, most bait shops carry shark bites that are excellent for shoreline fishing. If you are not sure ask a shop assistant to recommend a bait for the season in which you are fishing because fish are often fickle. Pack your bait in a cooler with ice to keep it fresh for the day. You may also want to store snacks or drinks in the cooler. Find your perfect spot for angling and bait your hook. Place your bait on the hook but make sure that it is not too obvious--fish aren't as dumb as you might think they are. Take a look around to make sure no one is behind or directly in line of where you want to cast. Cast your reel into the water by drawing it behind you with one or two hands, and pushing the release button on your reel at the same time. You should then bring your pole forward like a whip, when the line and hook reach the point you want it to release the button on your reel. Reel in the fish when you feel a tug on your line. Be sure not to reel in too soon, as the fish might just be nibbling the bait at this point. A good way to judge is by force. If the line seems to be dancing the fish is nibbling. If the line gives a nice firm tug, you might have a fish. A fish will often put up a fight. Make sure your line has a bit of give on it when you begin reeling in the fish. If the line is wound tight on your rod, the line could actually break. Lean forward toward the water and pull the line back toward you with slight force. Then release the pole back forward while winding or reeling in the line. Continue this step until the fish has reached the shore.